Most marketers know that pixel-based tracking faces increasing challenges as a measurement methodology. As some browsers implement third-party cookie management policies that impede or limit pixel-based tracking, and as more consumers periodically delete their cookies, there’s a growing and understandable sense across marketing that pixel-based measurement must eventually be replaced with a more reliable tracking methodology. 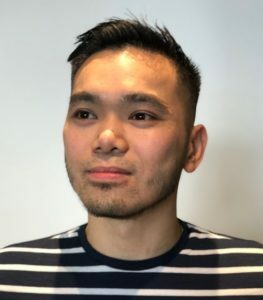 Writing exclusively for ExchangeWire, Si Fung (pictured below), head of deployment, Performance Horizon, explains why API integrations may be the answer, and aren’t as complicated as you may think. My company is focused on partner marketing, where use of pixel-based tracking has historically been quite common. Pixel-based tracking is also very common in paid digital advertising and ad serving. Whatever the use case, pixel tracking faces the same environmental impediments. While companies like ours work hard to mitigate the effects of browser policies and cookie deletion, among other challenges, most experts say that companies will eventually need to move beyond pixel-based tracking. – There are no third-party cookies used, so browser policies will no longer affect your data flow. – You can improve data security in transit and at rest with more secure information transfers. – You can track and measure all conversions in a more robust and secure manner, without missing any transactions because of cookie deprecation or deletion. Given these advantages, lots of marketers would love to replace their pixel-based tracking with API integrations. But, historically, many have decided to delay API integrations out of a misconception they are difficult and time-consuming to implement. Let me assuage those concerns. As head of deployment for my company, my team works with a multitude of global clients every year to help them implement their choice of integration methodologies. While most companies begin the integration process thinking they want pixel-based tracking, many change paths when they learn how advantageous and straightforward API integrations can be. With an API integration, a link redirect is processed first by the martech solution. The martech platform then creates an unique identifier. We call it a ‘clickref’. The identifier enables the solution provider to tie the user to the referring link and publisher. The clickref is then passed to the advertiser, which creates a first-party cookie. This enables the advertiser to more persistently connect that user to the previous marketing actions. When a user makes a purchase, the advertiser checks for the existence of the clickref within its first-party cookie and invokes an API connection to the martech platform. The connection returns all transactional information, along with the specific clickref that referred the sale. The first-party cookie is unaffected by browser policies like Safari’s Intelligent Tracking Prevention (ITP), which affect only third-party cookies. 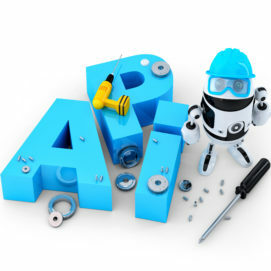 With API integrations, you do need tech team resources to implement. But how much? I’ll bet dollars to doughnuts that it’s less than you think. The key tasks are setting up the APIs to transfer the necessary data and inserting a single line of code into store pages to capture the clickref value into a cookie. How long does it take? Well, when a company has a coder ready to dedicate to an API integration, the process takes as little as one or two two-week sprints. For some companies, it takes longer because there is no coder immediately available. But resource demands are usually fairly modest. An outline of key tasks and the advantages of APIs so your internal leadership can understand the investment required. Your tech providers should be able to help there. API integration offers a more robust, secure, and accurate method for tracking online conversions – whether from traditional advertising or from partner programme activity. Book a conversation with your tech team to discuss API integrations today, lest you be under the gun tomorrow.